Insane Charity Bike Ride 2016 – Backer Fulfillment Update! 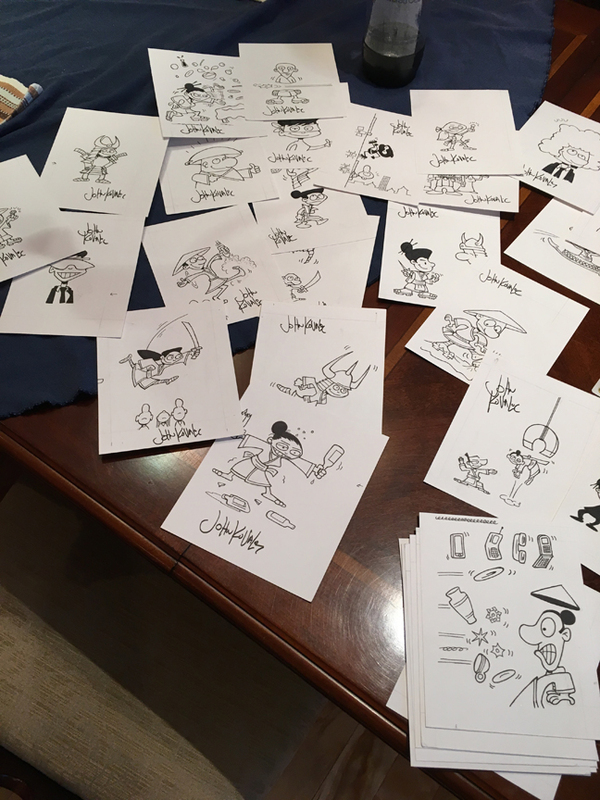 Yesterday, I signed around 40 pieces of original Munchkin card art for backers of Insane Charity Bike Ride 2016. 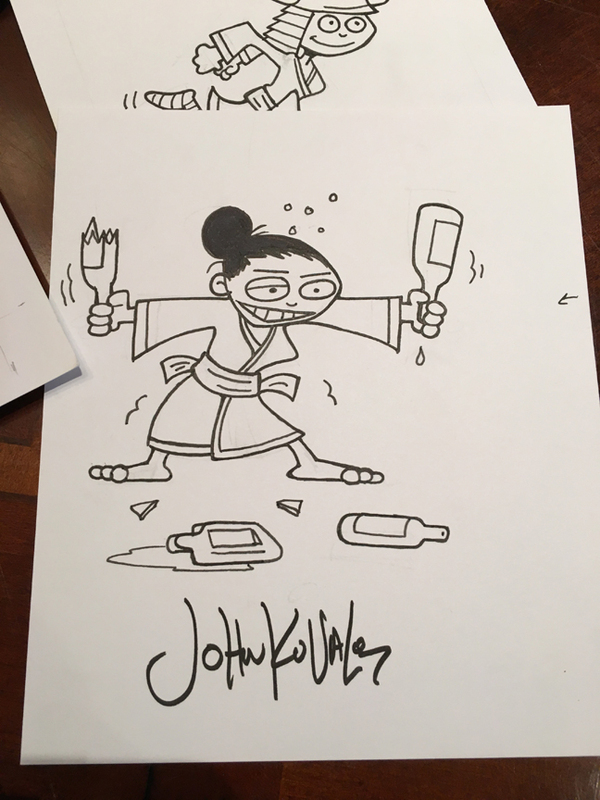 The drawings are from Munchkin Fu: Guest Artist Edition I drew last year. If I do say so myself, I think they’re lovely. If you supported the charity ride at the $200 level or above (Or if you’re one of the folks randomly chosen from there backers), these will be on their way to you soon. With luck, you may get “Drunken Master” or “Hong Kong Thong” – my two personal favorites. 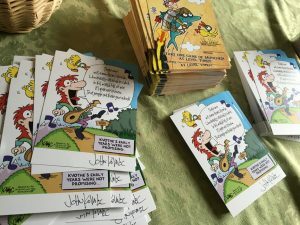 Anyway, coupled with the many hundreds of Munchkin Charity Postcards and Pat Rothfuss limerick mini-prints I recently signed, all Insane Charity Bike Ride 2016 fulfillment items are finished. Business Manager Alex is now sending everything to Fulfillment Guru David. My guess is, between two and four weeks from now, these will begin arriving to backers. 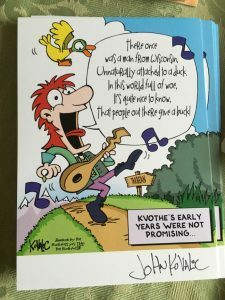 (I’d have loved it if they could have gone out earlier, but Munchkin Shakespeare kind of ate my brain for a couple of months there). Thank you all SO MUCH for supporting 2016’s ride, and making it the most successful yet! Now onto 2017’s ride…which Im told will be 70 miles long (weep). Where did I put that durned duck again..?